Mobile phone design has still got a long way to go: why are they damaged by water so easily? I left my phone in my trouser pockets and then put the trousers in the washing machine. After about 20 minutes my wife rescued it and we left it to dry out for a few days. In the meantime I needed a phone. I found one from a most unlikely source: the Game store in Cresta. Their shop "assistants" are usually noted for their surely disinterest, but this time I managed to find someone who could help, and R760 later I had a smart new Nokia 5130 XpressMusic phone. Unfortunately it has some built-in Vodacom features, but still works fine on the MTN network. Of course MTN were unable to help, being either "out of stock" or the queues were too long. It took a few tries to get the MMS and WAP settings, but I persevered and I'm back on the phone network. 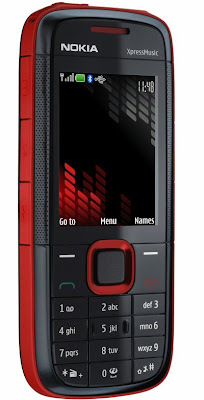 As a laptop owner I really don't see all the fuss over smartphones, as this phone plays podcasts and audio books well, has 2GB of MicroSD storage, and can make calls, and send text messages. It even has an Opera browser although the screen is tiny. It's still good enough for getting the cricket scores though. And it's about 15% of the cost of a smartphone. Update Wednesday: Now that the phone has dried out it seems to be working, although the screen flickers a bit. I retrieved all my data from the phone, including some cotacts I had lost. I guess the "old" one (8 months of use) is going to get relegated to being a "standby" phone because the 5130 does a better job of playing music files, even though it is half the price. Weird.